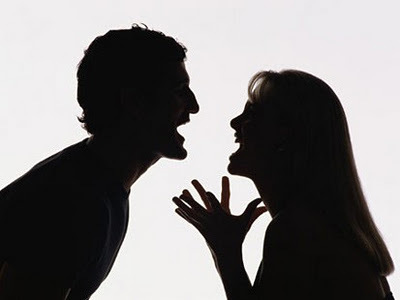 Domestic Disputes: Can be among the most difficult and dangerous of calls to attend. The Saanich PD Constable stood in the living room of a Cadboro Bay residence facing down two angry people. It was evident by his words and actions that this meeting was not likely to have a happy ending. Meanwhile his Sergeant was sitting, watching and waiting as chaos slowly began to envelope the scene. There was must have been more to the Sergeant’s inaction than I could at first discern. As I had just arrived on the scene as a back-up, it would take a few minutes to understand reason for his just waiting and watching. With two departments on the boarder of Oak bay (Victoria and Saanich) Oak Bay officers often covered off east Fairfield as far north as the Jubilee Hospital for Victoria, and, for Saanich, the Pan Handle, Cordova Bay and Ten Mile Point. Victoria and Saanich members often jokingly referred to the Oak Bay Patrol Units as their ‘East Side Prowlers’. In return however, patrol officers from those departments always reciprocated as, over the years, we had developed very close working relationships on our parallel shifts and usually followed each other’s calls on the joint radio system. Late one night I covered off a family dispute at a residence in the area of Gyro Park in Cadboro Bay. When I arrived, two Saanich police cars were parked on the street with the Saanich Sergeant quietly sitting in his unit. The engine was off and he was having a cigarette as I walked to the driver’s door. I didn’t even have to ask if they needed help as that was obvious. Through the picture window of a house across the street, we could see the another Saanich officer, (he had arrived before the Sergeant) standing in the living room facing down a man and woman who were in the midst of a heated argument. The Sergeant told me: “Just watch this. I have worked with this man for several months and he simply does not understand that the reason he becomes involved into so many confrontations, is related to his attitude.” As we continued to watch the man an woman continued to argue as if the Constable was not even in the room. As soon as the officer started to speak, his hand gestures and pointing fingers suggested he was angry and was lecturing the couple. Slowly the man, then the woman, turned their attention toward the officer and as the officer continued, their anger slowly shifted from each other toward the officer. The officer clearly responded in kind. As the woman became more animated, she lightly pushed the officer on the chest with her finger. That was clearly the wrong move lady. At first the man tried to pull his wife back, but clearly the officer was not going to stop short of dragging the woman out of the house under arrest for assault. The husband now turned his full attention to the officer and all three began wrestle. As they fell to the floor, they disappeared from view. The Sergeant climbed out of his car and as he walked to the front door stated: “Just give me a minute I better go sort this out before somebody gets hurt.” He was not in the house more than a minute or two and everyone was again standing. The scene calmed as the Sergeant remained between the Constable and the two residents. As the Sergeant continued to speak, the couple continued to nod. The Sergeant then turned to the Constable, said something, and the Constable left the house. When the Constable came down beside me, he was obviously still very angry and still wanted to arrest one or both of the residents and that surely would have followed had he been left in charge. A few minutes later we could see the Sergeant shaking hands with the couple. He then departed the house. The couple watched through the window as the Sergeant walked back to his police car. Nothing further was mentioned, but it was clear the Sergeant was going to take the Constable aside and try to explain to him how he might want to change his attitude. While not every family dispute ends in this manner, it was clear the Sergeant had developed a good basic understanding of human behaviour and knew how to defuse a potentially volatile situation. It was indeed a lucky group of Constables who had this man as their Patrol Sergeant. The three of us chatted for a few minutes, the Constable slowly settled down and we departed on our routine patrols.